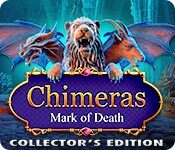 Chimeras: Mark of Death Collector's Edition is rated 3.3 out of 5 by 18. Rated 5 out of 5 by gyanda from Lovely and very entertaining I don't know whether developers think about the situation when users are playing. I do play after a long day of work, just to enjoy - and i am very very very content with this game. It has such beautiful graphics, i love to see this wonderful garden and - yes, i really can take my time, just to look at it and be happy. 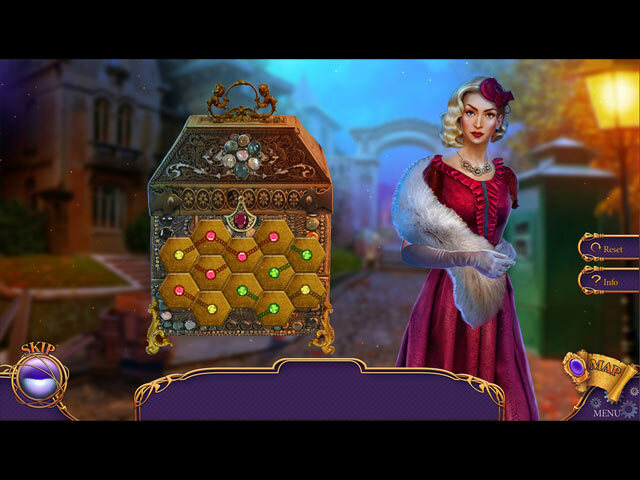 I do like the mini-games a lot, i find the storyline really interesting, i love even the sound of the recharching hint-button - for me this is a perfect game, it has everything i am longing for and i am very happy that i can play it right now! So, thanks developers! 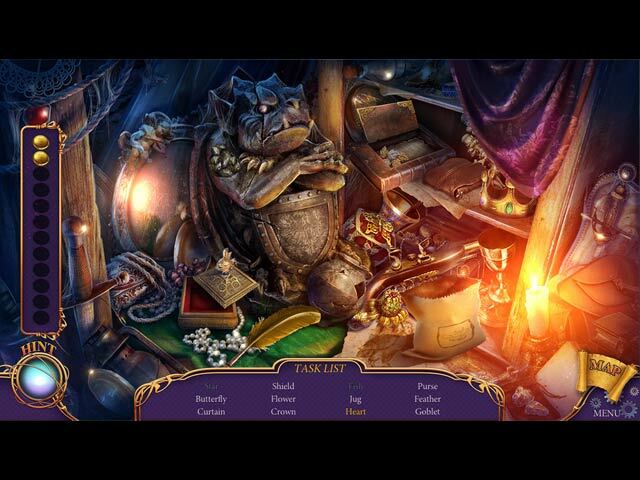 Rated 5 out of 5 by wildlifecrusader from Relaxing Love the Chimeras games and I love this one as well. I played the trial first and bought it straight away. It's true, it's not the most difficult game, it's the one where you can easily unwind and forget the stress of the day. 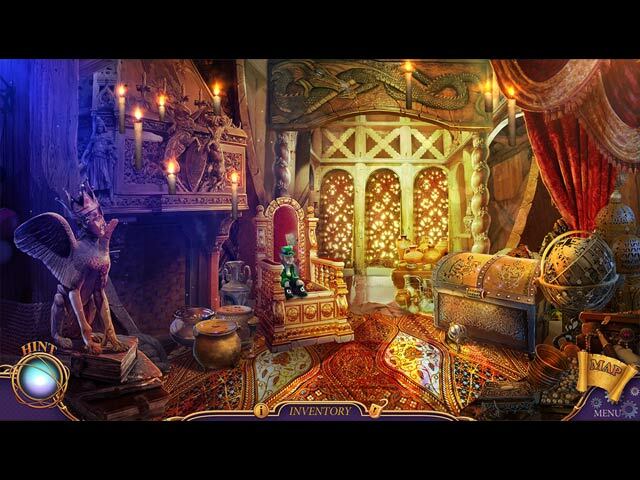 Some of the puzzles are more challenging then others and the game is straight forward. More experienced players may find it to easy or even boring ; might be the perfect game for beginners. Just try before you buy ! Rated 4 out of 5 by cupid59 from Enjoyed Fun game with good graphics. Enjoyed mini games with some easier than others. Didn't always have to think but enjoyed harder challengers along the way. I really enjoy looking for morph objects and puzzle pieces, keeps game interesting and motivating. Rated 4 out of 5 by rolfes from Beautiful, relaxing game play I enjoyed this game for it's ease of operation, extras and the scenes are very lovely. Great choice of colors and it hits the right note between too scary to be relaxing and too childlike for adults. I will definitely check out the other Chimaras games now. Rated 4 out of 5 by theswede from this time the gardner didn't do it liked the game wonder how many people have been wrongfully judge ! like the salem witch trials. Rated 4 out of 5 by dancemom1 from Nice addition, with some challenging puzzles! Hi all! As usual, I mostly review on the game and not much on the story, as others do a much better job than I. This addition is set up exactly the same as all the others in this series, as far as game play and such. Very nice animation, with mouth movements and all. Voice overs are well done, and are age, character and setting appropriate. Graphics are well done, very clear and without blurring when moving in or out of cut scenes. Colors are nice and bright without being over powering, even with a bit more orange than usual. Game play was very good, with no problems at all during the demo. The sound FX are really very nice and well done. You mostly hear wind blowing and see the trees and leaves moving in the scenes. SFX are very clear, footsteps, keys unlocking doors, etc. When something is about to happen, the music takes off. Hops varied, with interactive lists, matching pairs, straight lists and a storybook "fill in the blank" type HOPs. We don't have something different to switch to if we don't care for the HOPs, but these are very nicely done. Puzzles were not difficult, but did have a little challenge to them and some did take me a little time and thought to complete. Hint system is quite helpful and it does transport to longer locations. There is a lot of back tracking, as usual. Didn't even both looking at the jump map. I did note that some items that we need to pick up in scenes are very small. I found a few quite by accident. Collectibles are nicely done. We need to find 48 jigsaw pieces, which are fairly large for the most part and easy to see. These can be anywhere. We collect 12 pieces each for 4 puzzles. We also have 26 morphing objects, which all seem to be musical instruments, just different colors and shapes. They are quite large, but be on the lookout for them, as these objects morph quickly. We also have 12 cards. Don't know what they do, but we need to find them. These are quite large, but easily missed, as you don't think about them when picking up something else within the scene. These games in this series just seem to get better and better. When I beta tested it, I gave it a 4.5 on my beta scale. We seem to have a bit more dialog in this one, which makes for a more fun game. A game has to be exceptional in all aspects to get 5 stars from me. That said, I really got into the story in this one fairly quickly and as usual, the demo left us with a cliffhanger. The game did have enough action and constant movement to keep me interested and I find that I have the need to play this one out and see what is happening and why. I think most all levels of players will find this one interesting, a bit challenging at times and somewhat fun. Yes, I am adding this one to my collection. As always, try it for yourself and see what you think. We all have different tastes in games and you may not care for this one at all. Thanks for the reviews. Rated 3 out of 5 by Torpedo1 from Never a Mark Okay this is easy breezy games. Nice amounts of collectables. collect morphing musical instruments, collect puzzle pieces, collect self portrait type markers?, Nice HO's, Good Characters, Nice Jump Map, slightly interactive front page, cut scene was ok, and played out smooth with some critter action. Adverage game nothing to brag about sorry. Rated 3 out of 5 by jkuci from Great graphics but confusing actions The graphics in this game are some of the best I've ever seen but I got bored with the game play because the actions were so illogical. Also, the story was just a bare premise so it didn't seem like much of a reason to keep doing the actions to further the story. I found that I really didn't care about finding the killer. I think this would be a great game for those who don't value story and so I recommend you try it out.